Do you think beauty and durability can be combined for a perfect flooring in your kitchen? You may think you have to sacrifice one to achieve the other, but there is an option that may surprise you. For the best type of kitchen flooring, if you are looking for both beauty and durability, no other option needs to be on your list: check out laminate kitchen flooring! Yes! Choosing a laminate kitchen flooring is the smartest way to achieve the look of natural stone or hardwood without the expense or difficulty of care. That’s right, laminate kitchen flooring is one of the most affordable options out there and can be designed to mimic any of the other flooring options out there. Also, as compared to other flooring options, laminate flooring is also easy to clean and to care of. The practicality of laminate flooring is what you really need for your kitchen, and the design options offer what you really want for your kitchen. Many manufacturers and installers, such as ﻿﻿Lumber Liquidators, will spend time working with you to assist you in making a laminate flooring choice that will work within your budget and fit all of your flooring needs. What more could you ask for in a kitchen flooring? Put simply, laminate flooring is a synthetic flooring made of different kinds of layers designed to look like traditional flooring such as wood, stone, or tile. The first layer on the bottom of a laminate flooring plank is a solid coating which covers the entire design layer called the backing. This is designed to withstand moisture in order to reduce or even eliminate the risk of warping from water damage. The middle layer is called the core layer. The core is typically comprised of a reinforced fiberboard. Sometimes, wood particles are used instead of the fiberboard, though these are typically less durable and as the cost of creating laminate floors decreases, this type of laminate flooring is fading out of popularity. This fiberboard is typically also coated with a special resin to further increase the amount of moisture resistance and durability of the laminate planks. Now, the design layer. 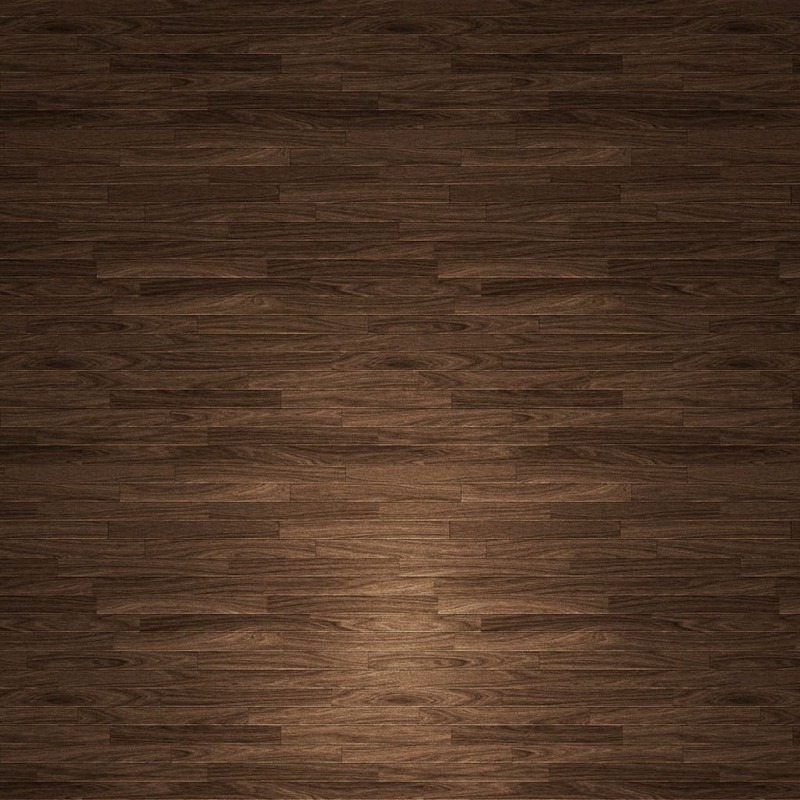 The design layer is where the image of the flooring appears. Laminate flooring can be made to look like natural stone, hardwood, tiles, metal, or any other desired look. Some design layers are even designed with an actual texture that you can feel to increase the overall impression that the floor is trying to mimic. Finally, as with most flooring, the top layer is referred to as the wear layer. The wear layer is clear and designed to protect the flooring. Some brands of laminate flooring even feature an antimicrobial resin on the wear layer which creates a more hygienic flooring, ideal for bathrooms or kitchens. These layers get fused together at an extreme temperature in the laminating process. 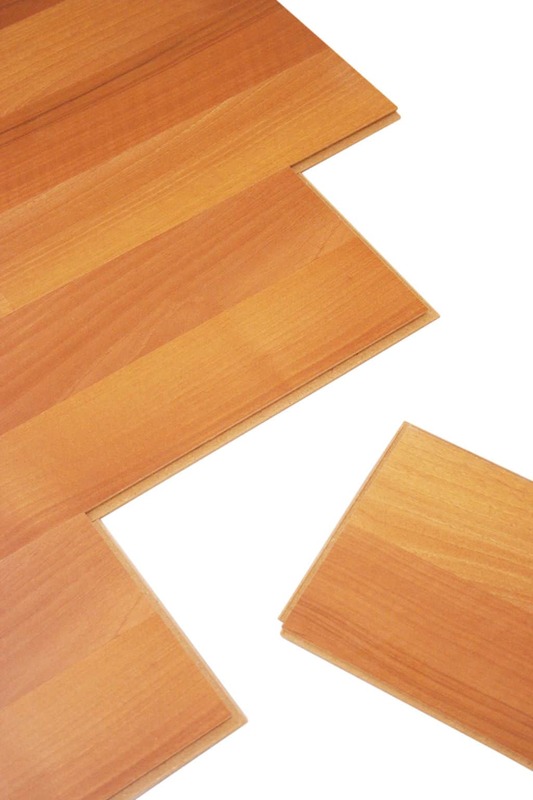 The lamination process improves the strength and makes the laminate flooring more watertight. One of the highlights of laminate flooring is that the options are endless. Anything can be dreamed up can be created and applied as the "design ayer" on the laminate. As the flooring you choose for your kitchen will be the backdrop for the entire style and feel of your kitchen. If you have the desire to change the design in your kitchen in the future, laminate flooring has the added benefit of being fairly easy (and economical) to replace. 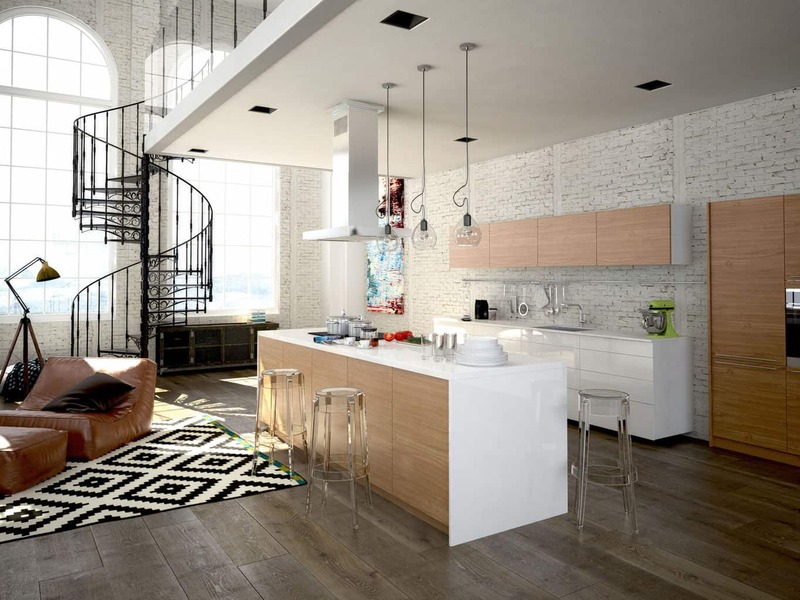 Having a standout kitchen can be a real showpiece in your home. 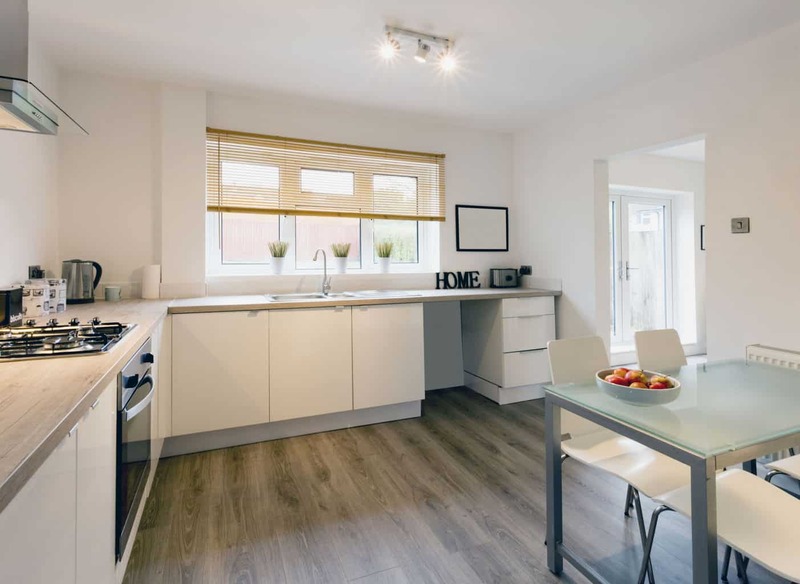 Where price often limits people from being able to choose what they would really like as the flooring in their kitchen, having laminate flooring as an option means the possibilities are limitless. Just because you cannot afford reclaimed pine floors or marble for your kitchen flooring does not mean the same effect cannot be achieved within your budget by using a laminate flooring. As with anything, price does vary within the industry, but generally speaking laminate flooring ranges from about $2-$4 per square foot, which is a real steal in comparison to other flooring options. Professionals all agree that adding quality design to the kitchen is the number one way to add value to a home. This can be easily achieved by using laminate flooring. Whether you are selecting a flooring to be installed in a brand new kitchen or looking for a way to update the kitchen in an existing home, laminate flooring is an easy way to add significant value to your home without having to invest a huge amount of money into a large project. Another top feature of laminate flooring is that it is stain and water resistant. The sun will not fade laminate flooring, and as long as spills are cleaned up promptly, they will not cause permanent staining. This makes laminate flooring a fantastic choice for any area of the home, like the kitchen, where spills or water leaks are more common. Of course, though laminate flooring is water resistant, it is not entirely water-proof, so you should still do what you can to reduce any soaking, as this can cause damage to laminate. Maintenance and cleaning of laminate floors are both incredibly simple: daily vacuuming or sweeping keep your floor in good shape. And just use a normal mop and a non-abrasive cleaner for a deeper cleaning. 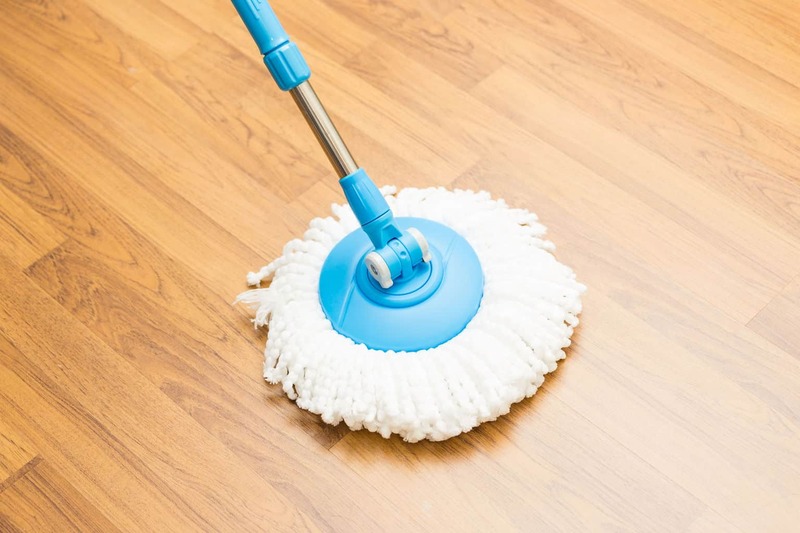 All spills on your laminate should be cleaned up as soon as possible to prevent staining or damage, but generally laminate floors can stand up to a good bit of mess without resulting in permanent damage. This is the main reason why laminate flooring is such an incredibly popular choice for the kitchen, as well as throughout the rest of the house. Another reason on why laminate kitchen flooring is a popular choice among homeowners is because of its easy installation. Yes! The kitchen laminate flooring is available in snap together planks that are incredibly easy to install. These click system and snap together planks are easy to install. Additionally, you can install laminate flooring on varying types of existing sub-floors. This is why many who like to do-it-yourself opt for laminate kitchen flooring. The installation is simple enough to complete in a single afternoon! The video below by Lumber Liquidators is a good place to start if you are interested in installing the laminate flooring yourself. If you are overwhelmed by the idea of installing your flooring yourself or just have no desire to tackle such a task, the cost of installation is also comparatively inexpensive. Many worry that choosing laminate kitchen flooring is making a choice for a lower quality flooring. This fear is completely misplaced, however. Spend some time looking at the different laminate flooring options available to you. Take the opportunity to browse both the laminate flooring section of a local big box store, and visit a show room to see laminate kitchen flooring “in action.” Laminate flooring has become so impressive, it is very difficult for most individuals to determine the difference between laminate and the traditional flooring counterparts, like wood or stone, which the laminate is emulating. However, the best feature of laminate flooring is that in addition to being more affordable than these other flooring choices, it is quite durable and has the physical property to withstand the tear and wear characteristic of home kitchens. Selecting the best laminate kitchen flooring for your home is a matter of an investment in the research end. Numerous companies offer varying styles and qualities of laminate, and as with any home improvement project, it is important you go with a higher quality laminate and follow all manufacturer directions in order to get the most from your flooring. In most of homes, the kitchen is the area where most of the activities happen, and in addition to being beautiful, your kitchen flooring has to be durable enough to handle the years of wear and tear. Laminate kitchen flooring will not only handle daily wear and tear, but is stain resistant, scratch resistant, and easy to clean. For this reason, more homeowners every year are choosing to install laminate flooring in the kitchen and many other rooms of their homes. I have not heard that, especially in the case of new construction when it would be much easier to install it across the entire floor. I would have the same flooring under the appliances as the rest of the kitchen. Can we install laminate flooring over vinyl tile or must it be removed? 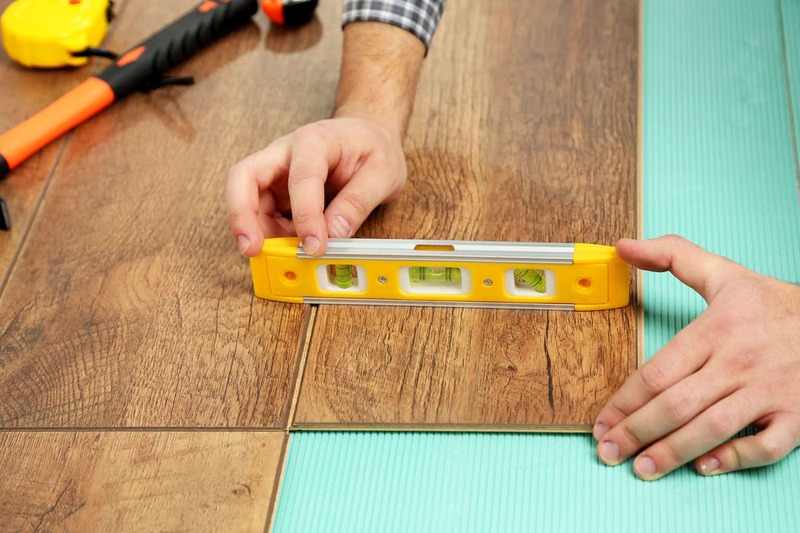 You should be able to install the laminate over the vinyl tile without removing it. If this is in a kitchen, be sure to check the height of your appliances (dishwasher) to be sure that there will be room, and that the vinyl being underneith will not cause a problem. Hi! I am going to be installing laminate flooring in my kitchen. I am very excited and can’t wait to start. I was told however, that I should seal the seams between each of the planks because the kitchen is a potentially wet area. If I do this, I imagine the planks will almost be “glued” together. What kind of bond/glue/seal should we used for it to be most effective? Is this really necessary?